With most of its best players resting for the playoffs, Boston rallies for a 116-110 win over the Wizards. WASHINGTON – Bradley Beal became the first player in Washington Wizards franchise history to average at least 25 points, five rebounds and five assists for a season, reaching the numbers he needed in a 116-110 loss to the playoff-bound Boston Celtics in a finale Tuesday night that was meaningless to both clubs. Beal, a two-time All-Star, finished with 16 points, five rebounds and four assists – all before halftime – as he played in all 82 games for the second consecutive season. The Celtics already were assured of finishing as the No. 4 team in the Eastern Conference and facing the Indiana Pacers in the first round of the playoffs. They finished 49-33. So there was no reason for Boston to care about the outcome, or use any of its best players. Kyrie Irving, Jayson Tatum, Gordon Hayward, Al Horford, Marcus Smart, Aron Baynes and Marcus Morris all sat out. 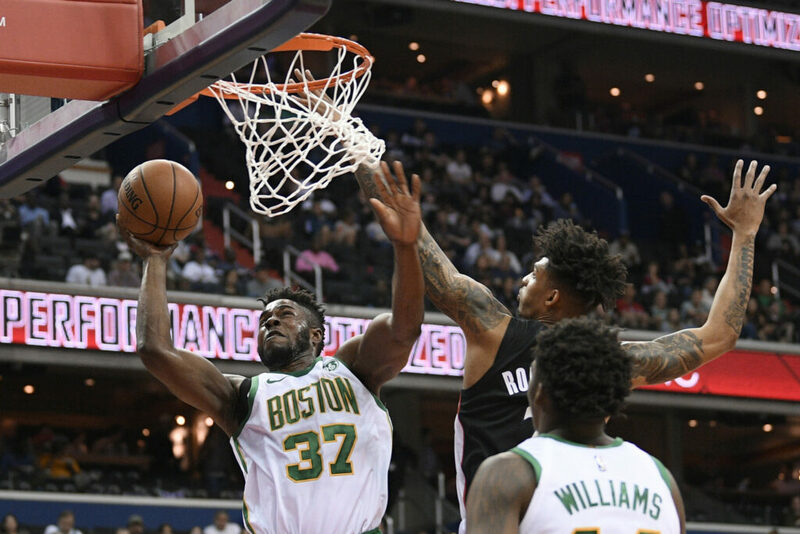 Boston’s starting lineup was Jaylen Brown, Terry Rozier, Semi Ojeleye, Guerschon Yabusele and Robert Williams. Ojeleye, Yabusele and Williams had a combined three starts this season. The Celtics finished with seven players in double figures, led by Rozier with 21 points. Ojeleye, Brad Wanamaker and R.J. Hunter all scored 17 points, and P.J. Dozier had 12 points and 11 rebounds. NOTES: Wizards point guard John Wall says he is not sure whether he will be able to play next season as he recovers from a torn Achilles tendon. Wall, a five-time All-Star, appeared in only 32 games this season, averaging 20.7 points and 8.7 assists.